Massive food shortages, leaving millions of people hungry, and environmental degradation were two of the issues discussed during Ethiopia Catholic Church Partners’ annual coordination meeting was held on November 5-6, 2015 in Addis Ababa. The theme for the meeting is “Partners and ECC Diocesan Institutional Accompaniment for Development and Emergency Response”. In his opening remarks H.Em. Cardinal Berhaneyesus, C.M., Metropolitan Archbishop of Addis Ababa, President of CBCE and AMECEA Chairman recalled that currently the Federal Government of Ethiopia has declared that almost 8.2 million are facing food shortages and need immediate humanitarian support. He said that the environmental impact for this crisis in Ethiopia is evident. He stressed that humanity is suffering from catastrophes resulting from human behavior related to the misuse of the environment. His Eminence said that the Church and Her partners should collaborate in combating environmental degradation and its impact on people. “We must commit our efforts to protecting and preserving the earth and its resources for our own benefit and for the survival of humanity. In our cosmos everything is interconnected and interdependent. We are part and parcel of nature. We are called to combat climate change, preserve the natural environment and provide to those in need with respect and dignity what they need materially,” he said. The current food security situation and emergency appeal intervention plan was also discussed during the meeting. 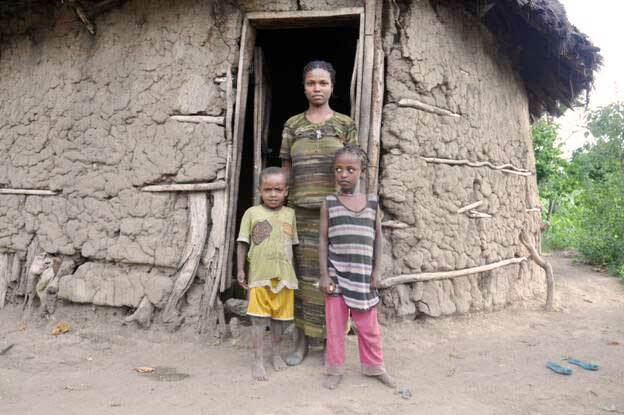 The Ethiopian Catholic Church Social and Development Commission (ECC SDCO) is collaborating with partners in providing an emergency response to those who are affected by the drought caused by ElNino. It was discussed that the emergency situation will require a coordinated effort and high amount of resource due to the fact that vast areas in nine dioceses are being affected by the situation. Participants were informed by ECC SDCO that the immediate outlook is for prolonged drought in wider part of the country on one hand and for potentially serious floods in southern rangelands on the other hand. Thus immediate humanitarian assistance and practical response is needed. Mr. Bekele Moges, ECC SDCO Executive Director, said that compared to the immensity of the crisis the resources currently at hand for the response is limited. “It becomes a top urgent issue of concern for all of us who are engaged in humanitarian and development programs to prepare ourselves for a better coordination and collaboration that helps us render a better service to the needy with meager resources at hand,” he said. Mr. Bekele pointed out that the emergency response is not to be left to be shouldered by the government only, all partners and stakeholders should join in the effort to tackle the crises. “We are aware that this time the current emergency crisis in Ethiopia is knocking at the door of all potential donors and government actors. However, from our experience the government alone will not be able to respond to the huge need at the ground. Therefore, our united hand is needed in any of the humanitarian actions that we may take to save lives and livelihoods,” he explained. A market stall is visited during which the Diocesan offices shared their good practices to attract partners to work with them and held a bi-lateral meeting to strengthen the partnership. A briefing on the Holy Father pope Francis’ Encyclical letter “Laudato Si” and on the newly launched Growth and Transformation plan II of Ethiopia and how the Church can work in accordance to it was also made. A presentation and discussion on Impact Investment was also part of the program that allowed partners to reflect on how it could be incorporated to their activities in order to better benefit the community. 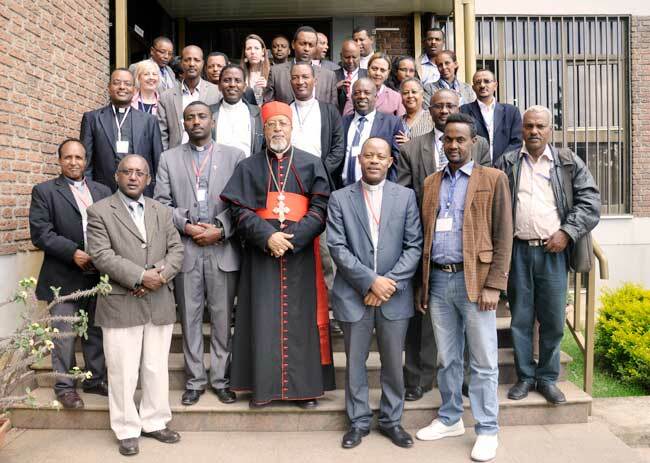 Partners of the Ethiopian Catholic Church from different parts of the world and in Ethiopia, Diocesan directors and Development coordination of the Diocesan offices attended the meeting with active participation.